Once a category has reached its maximum number of entries, the category will be closed. 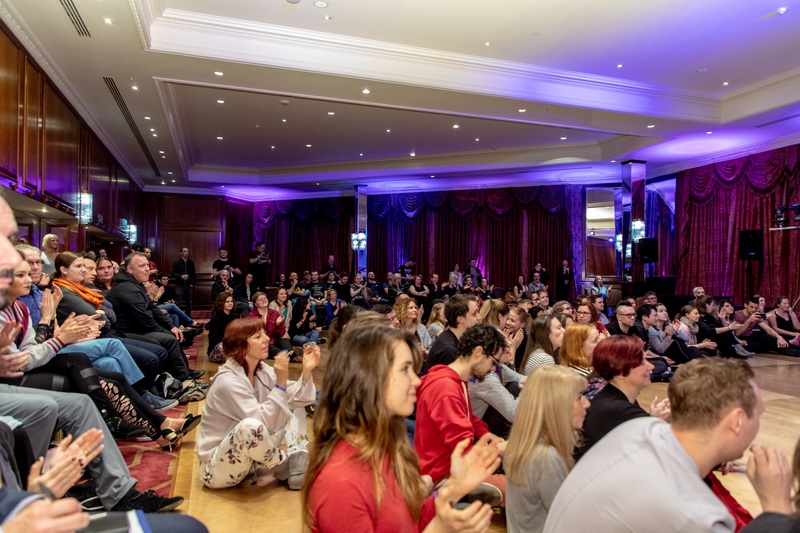 We're back at the fabulous 4-star Radisson Blu Edwardian Hotel, a fantastic location with an incredible ballroom for the competitions as well as plenty of facilities to keep you going throughout the weekend. The weekend kicks off with our opening party Thursday evening. Party passes are available for social dancing at £20 (pay on the door) for Thursday night only. This is the ONLY party pass being offered during the weekend. We want EVERYONE to enjoy and get the most out of the workshops this weekend. This means being realistic and attending workshops that are appropriate to your current level of WCS dance experience. Please respect and be fair to your fellow dancers. If you are struggling in a workshop you are NOT at the right level for your current experience. You already have a solid knowledge of the basics of West Coast Swing (sugar push, left side pass, right side underarm turn, tuck turn and whip). You have been dancing WCS for at least 6 months and no longer need to count. You may have competed in Newcomer or Novice previously, but want to take your WCS to the next level and learn new moves, shapes and variations. You need to work on your partnering skills, technique and timing. We welcome the higher level dancers to take part and dance in a non-traditional role. This level will is geared towards the intermediate dancer. It's expected that you regularly attend Intermediate level workshops/intensives and weekend events. 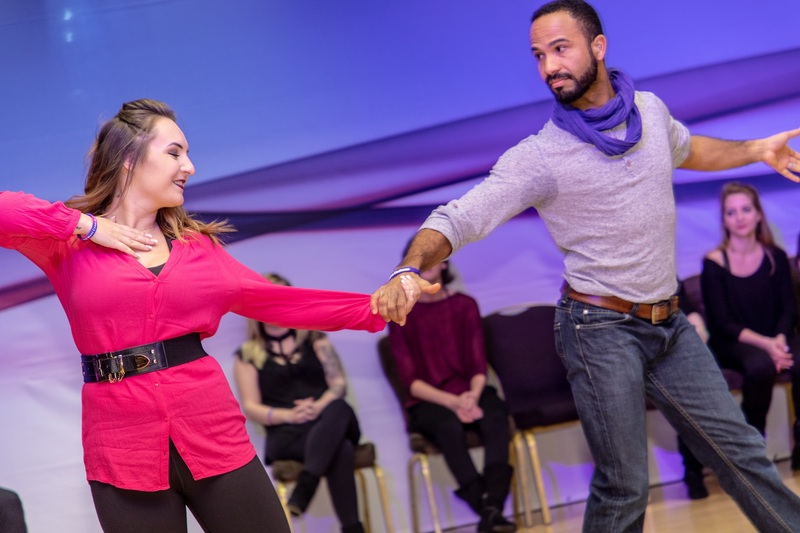 You may already compete at intermediate level, you social dance frequently and feel ready to learn and introduce more complex patterns into your dancing. Workshops will be faster paced working on connection, footwork, and pattern structure. You need a minimum of 30 Intermediate WSDC points. These workshops will be fast paced and tailored to the needs of Advanced level dancers, covering advanced concepts and techniques. Minimum of 45 Advanced WSDC points. Pushing you to your limits and exploring with some of the most intricate and technical aspects of the dance. 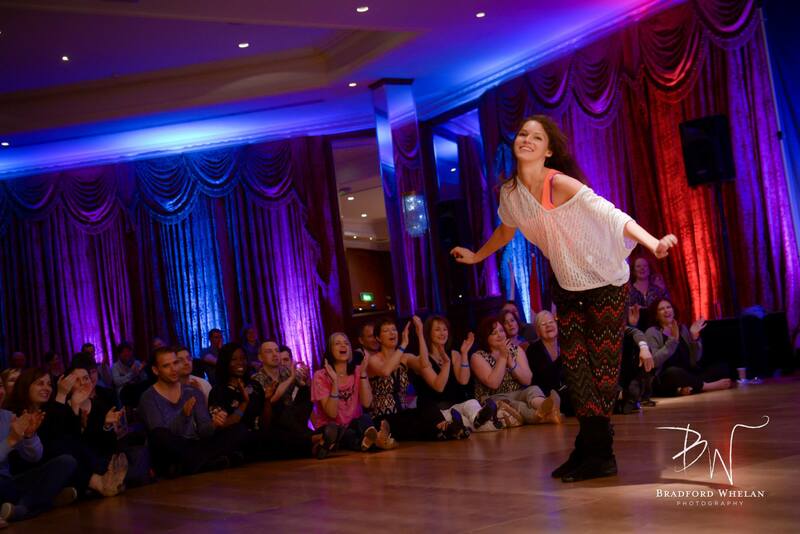 Intermediate Steal The Show from DanceTvUK on Vimeo. A highlight of the Championships and back by popular demand, a unique opportunity for couples to learn a choreographed routine and perform in the Sunday night show (optional). If you've ever wondered what it feels like to be part of a dance team, now you can find out. 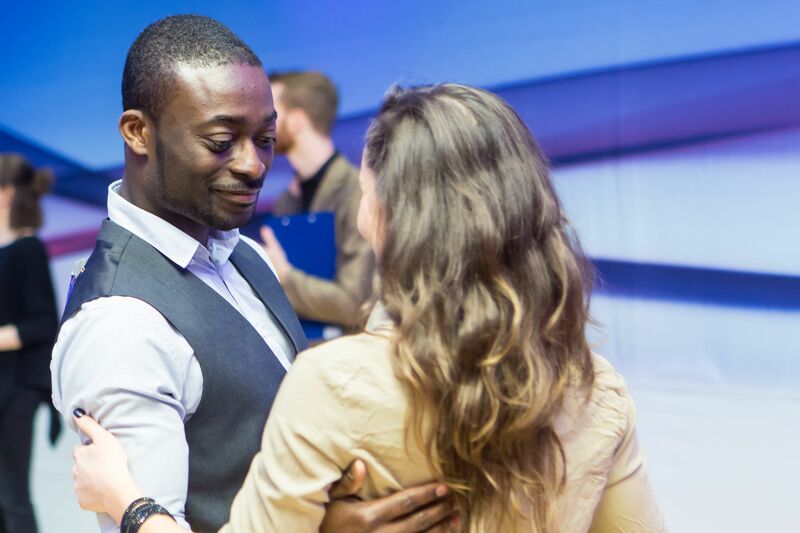 You could be working with some of our top pros as they choreograph a swing routine. 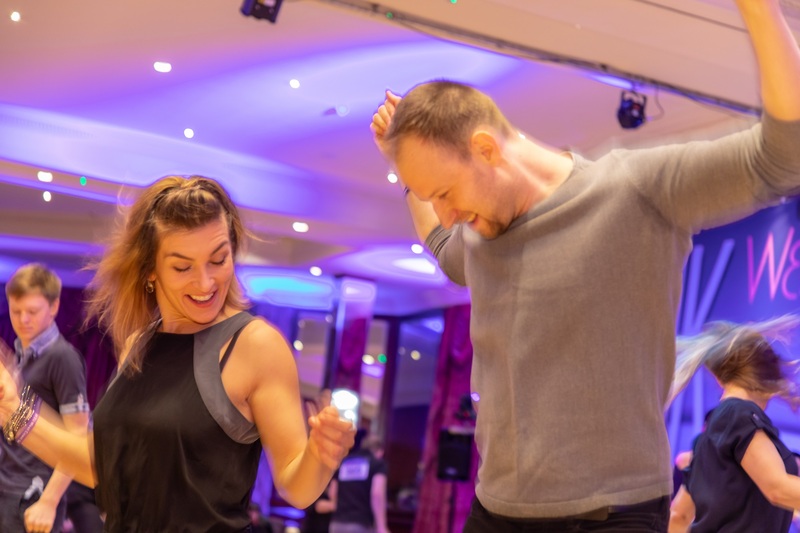 Each pro-couple will teach a unique bespoke routine in a 2 hour rehearsal giving participants not only the thrill and buzz of performing, but also an insight into understanding the layers and thought-process that go into creating a routine and show like this. 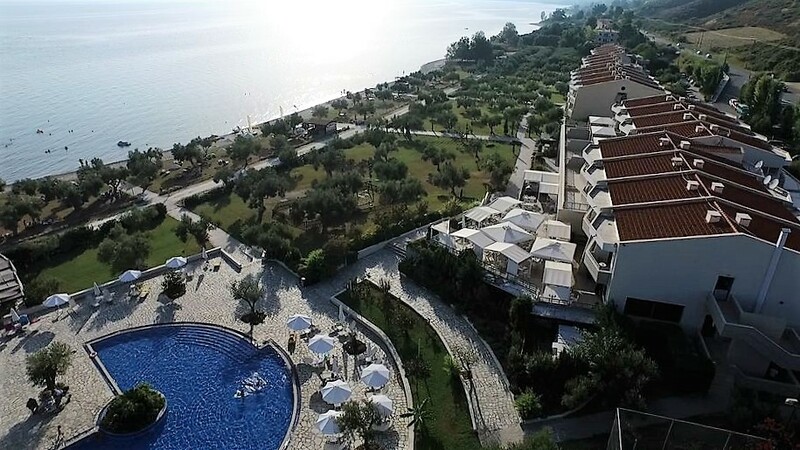 Our Pro couples will work with one level each, either Novice, Intermediate or Advanced. In each performance, there can be only 10 couples, that means spaces are very limited. We require people to sign up with a partner for a chance to be involved. Each person, within the partnership, should be comfortable dancing at the desired level and only submit with one partner. The 10 couples in each category level will rehearse with their pros and most definitely will Steal the Show on Sunday night. 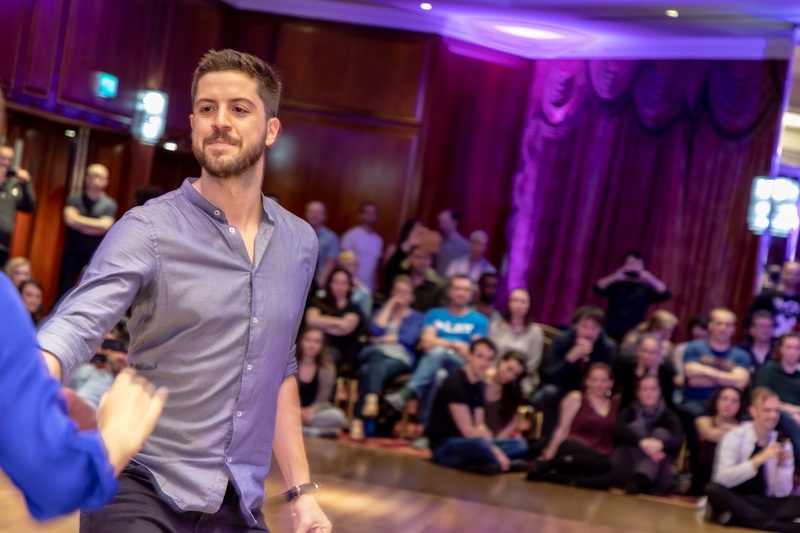 The first time ever Robert and Brandi taught these Intensives outside of the US, was at the European Swing Challenge in October 2017 - feedback was incredible! These comprehensive Master Classes taught by two of the greatest technicians in the dance world, are an opportunity to learn from the very best - don't miss it! 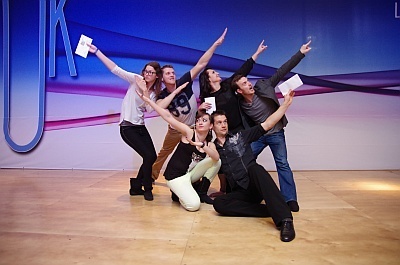 The Intensive is for people attending the UK EU Championships event. Times to be confirmed nearer the event. Robert Royston and Brandi Guild - Champions JnJ 3 from DanceTvUK on Vimeo. Competitors must ensure they read and understand the RULES before competing. It will be helpful for the smooth running and timing of all competition divisions for you to pre-register for Competitions. Once a category has reached its maximum number of entries, the category will be closed. This Event allows role-neutral, each Competitor must choose if they want to compete as a Leader or a Follower, they cannot do both. Dancers cannot enter two "level" Jack & Jills at any one Event. Dancers must maintain physical contact except for spins, turns, short breakaways, and recoveries. They must maintain their own physical contact with the floor during partner weight support moves. 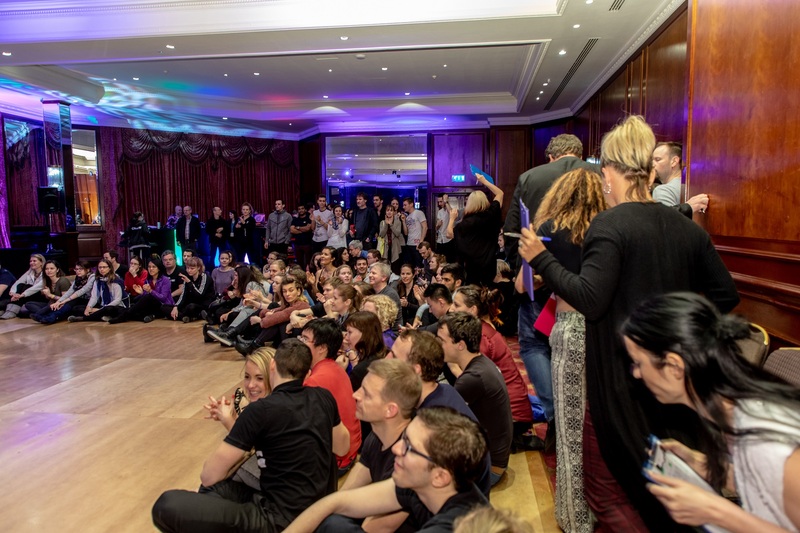 With Trophies, Medals or Cash Prizes on offer in all categories, as well as points for your WSDC profiles for most of the competitions, there could well be a prize for you at this year's Annual UK & European WCS Championships. Knowing the Rules: All competitors should read these rules carefully prior to participating in the competition. The Information for Competitors published in the Event Programme is an integral part of the Rules. Competitors are responsible for adhering to these rules whether they have read them or not. The Event Director’s decision on all matters is final. meet all other specific entry requirements as outlined in these rules. Each eligible competitor may choose to enter one Jack & Jill level. Competitors may compete in both Classic and Showcase, so long as they have different partners per division. 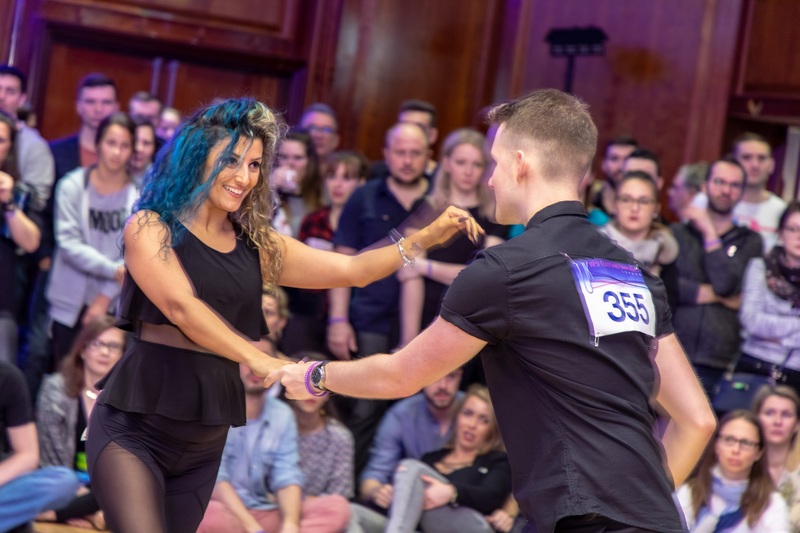 Any Classic or Showcase contestant who also enters Strictly Swing must compete with a different partner in each division. The Relative Placement System is used to judge all Championship competitions. 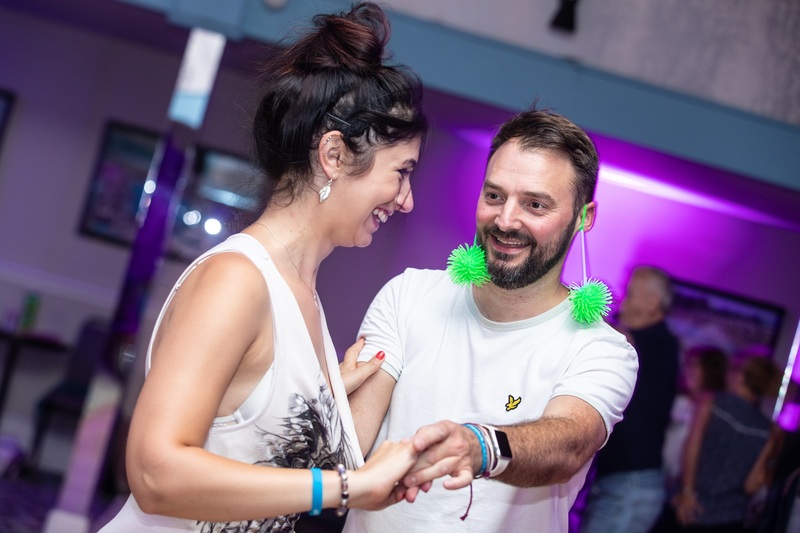 Timing – How your body connects to the music. Swing is a dance beginning on the downbeat. Timing extends to much more finer distinctions than a single beat. It includes fractionally ahead or behind, as well as matching the syncopated ‘swing’ of the music. Technique – How well you do what you do. How well competitors execute the movements comprising their dance, constitutes technique. Judges are looking for good footwork, balance, control, frame, how well turns and spins are executed, and control of arms and hands. Teamwork – How well you work together. Swing is a connected, partner dance. The demonstration of this connection and the appearance of lead/follow or action/reaction between the partners is an expected part of any competition. It is the ability to work together as a team. One partner ignoring or out-dancing the other, or jeopardising the safety of the other (or other competitors), indicates poor teamwork. Content/Choreography – What you do. The selection and order of movements and transitions executed during a dance comprises choreography. Good choreography demonstrates an intimate connection with the music and its phrasing, as well as variety and contrast of movements. Presentation/Showmanship – How well you sell what you do. To create an atmosphere of excitement by inviting and generating interest in a performance is the desired effect of good presentation. While providing a good show is one aspect of presentation, a good show is not a substitute for good dancing. Our aim is to encourage all competitors to assign themselves to a fair and appropriate classification using the honour system. If you have any doubt please contact the Event Director who will give guidance. The Event Director’s decision is final. 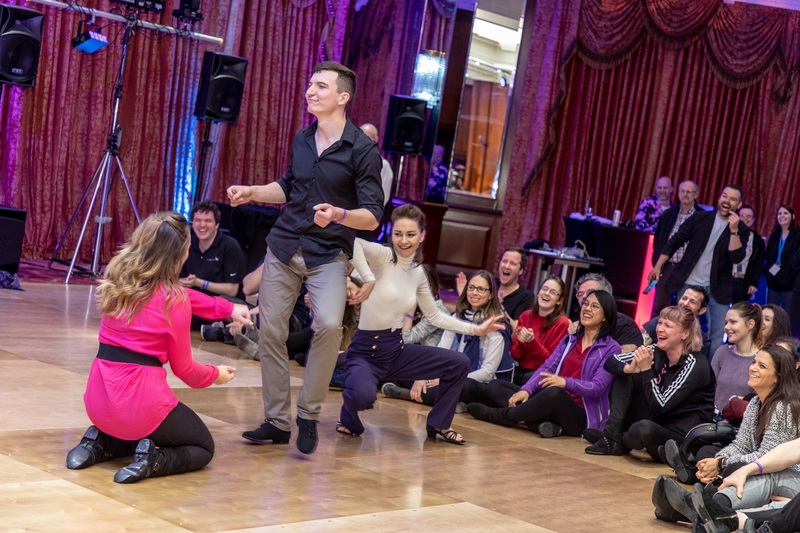 The Jack & Jill competitions are designed to highlight social dance skills in spontaneous swing dancing and the ability to dance well with a variety of partners. Some ‘luck of the draw’ comes into play as well. 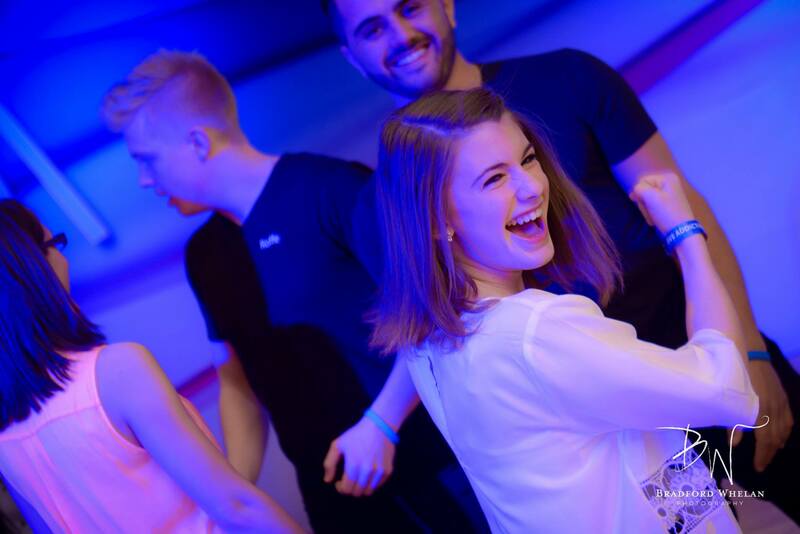 Competitors enter as individuals, are randomly assigned partners, and dance to music selected in advance by the competition DJ. The number of entries in each division will determine the number of rounds that may be held and will be danced in a heated format. In preliminary rounds competitors are judged as individuals and in Finals as a couple. Each competition must have a minimum of 5 leaders and 5 followers. The maximum number of entries will be determined by the Event Director. Our qualifications for entries promote fairness and competitor enjoyment by grouping dancers of similar ability in the same division. Our rules are based on World Swing Dance Council recommendations. It is the Organiser’s goal to encourage all competitors to assign themselves to the appropriate classification using the honour system. If you are not comfortable dancing in the division where these qualifications place you and would like to dance up or down, please petition the organiser. Most reasonable petitions will be approved. Competitors in this Division may also dance in a skill level Jack & Jill (Newcomer, Novice, Intermediate, Advanced or All Star). Competitors with fewer than 16 WSDC Novice points should dance in this Division. Competitors with 16+ Novice points are allowed to move up to Intermediate Division. Competitors with 30+ novice points are required to move up to Intermediate Division. Competitors with 16+ Novice points are allowed to dance in this Division. Competitors with 30+ Intermediate points are allowed to move up to Advanced Division. Competitors with 45+ Intermediate points are required to move up to Advanced Division. Competitors with 30+ Intermediate points are allowed to dance in this Division. Competitors with 45+ Advanced points accumulated within 36 months are allowed to move up to All Star Division. Competitors with 60 Advanced points accumulated within 36 months are required to move up to All Star Division. Competitors with 45+ Advanced points accumulated within 36 months are allowed to dance in this Division. Competitors must accumulate 3 All Star points in the previous 36 months to stay in All Star Division. Competitors with 45+ All Star points are allowed to move up to Champions Division. Competitors with 60+ All Star points are required to move up to Champions Division. Competitors with 45+ All Star points are allowed to dance in this Division. Competitors with Champions points are required to dance in this Division. Professional staff at this event are eligible to compete in this Division. Swing dancing that encourages lead and follow partner dancing at its best. Although swing includes amalgamations and patterns that are familiar to many dancers, the essence of lead and follow must be maintained in and out of these patterns. Strictly Swing Division is not meant for long and extended pre-choreographed phrases. Improvised choreography is the objective. Drops, leans, circular movements and other partner weight support moves are allowed as long as both partners keep at least one foot on the floor. The ‘Lead’ and ‘Follow’ roles are not gender specific. All dancers, regardless of the role they are dancing, must dance in the level they would dance in a JnJ. Minimum number of entries will be determined by the organisers. Guidelines for expected swing content are 90% in Strictly Swing. It is at the judge’s discretion to determine that the required swing content has been met. An individual is not permitted to dance twice within the same division level. Amateur competitors only who are aged 40+ years may compete in the Sophisticated Division as well as an appropriate division to their dance level. Length of performance is at the organiser’s discretion. This division will be danced in heats, semi-finals and final as deemed appropriate by the organiser. Dancers must maintain physical contact except for spins, turns, short breakaways, and recoveries. Pre-choreographed routines are not allowed. At most, 5 partner weight support moves are permitted. Open to all Novice and Intermediate level dancers. mix it up, Novice dancing with an Intermediate. Your choice. Open to all Advanced and All Star dancers. mix it up, Advanced dancing with an All Star. Your choice. Swing dancing that allows choreography with an “on the ground” approach to the dance. Drops, leans, Circular movements and other partner weight support moves are allowed as long as both partners keep at least one foot on the floor. 1. Contestants must be 18 years or older by the end of the event to participate. 2. Competitors will be one Male Leader and one Female Follower. 3. Minimum number of entries will be determined by the organisers. Cash prize may be adjusted accordingly or not awarded at all and is dependent upon number of entries. 4. Guidelines for expected swing content are 80% in Classic. It is at the judge’s discretion to determine that the swing content requirement has been met. 5. An individual is not permitted to dance twice within the same division. 1. Performance time is a minimum of 2 minutes and a maximum of 3 minutes. 2. 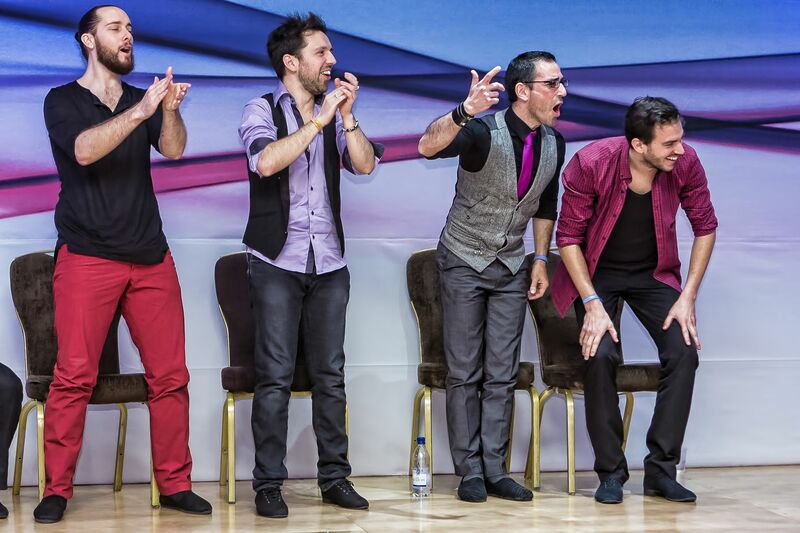 Competitors select their own music. 3. Costumes are allowed and encouraged. 5. Separate entrances are permitted but the couple must physically join together within 32 beats of music. 6. Couples must maintain physical contact except for spins, turns, short breakaways, and recoveries. 7. Dancers must maintain their own physical contact with the floor during partner weight support moves. A SHUTTLE BUS OPERATES FROM HEATHROW AIRPORT TO THE RADISSON BLU EDWARDIAN HOTEL. 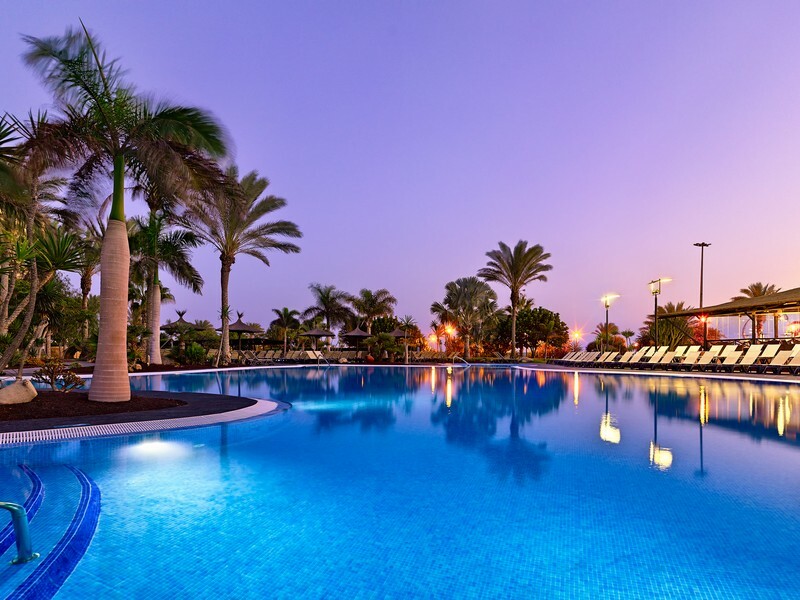 Located approximately 5 minutes by car from Heathrow airport. PAYMENT: Book online with our Online Booking Form for the UK & European WCS Championships. Online Booking Fee applies. 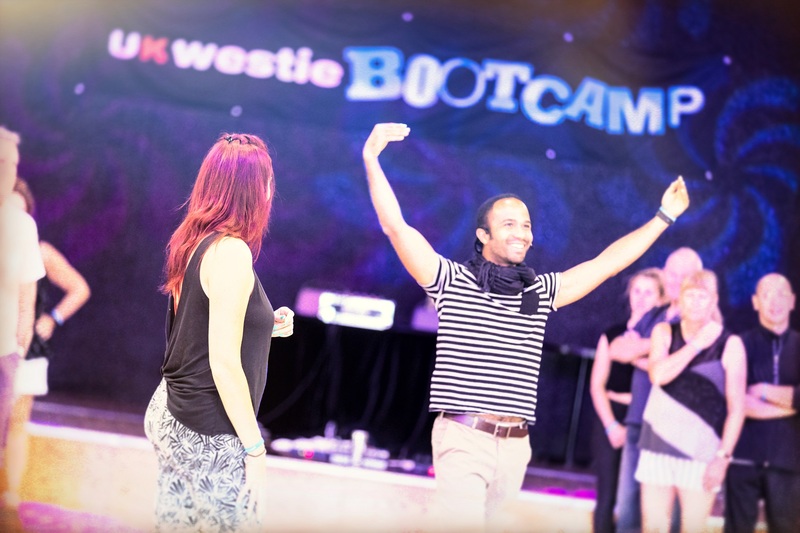 Weekend Pass only (no accommodation included), all workshops, social dancing etc. Cash on the door only. I think UK Champs is a must go event next year, not to mention that it is going to be a 10th anniversary!